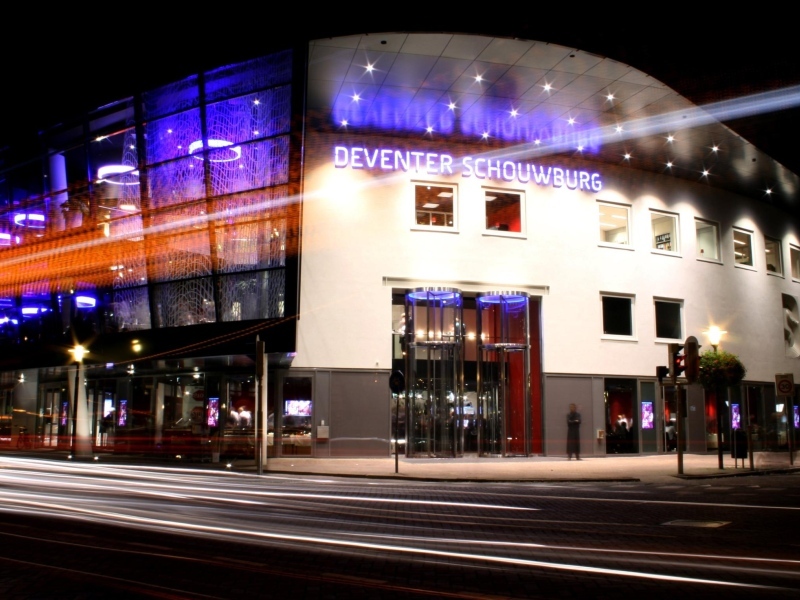 Deventer Schouwburg is a professional theater with a wide and extensive range of music, dance, cabaret and theater performances. The Deventer Theatre is at the service of the theater art and the public; it is aimed at the needs and requirements of modern theater, but also creates the conditions for visitors of city and region to fully experience art and culture. The theater is working actively to bring theater closer to the public. The Deventer Theatre is a place where the audience may come in contact with the performing arts. The Deventer Theatre is also the home for the leading performers of the city, both amateurs and professionals. 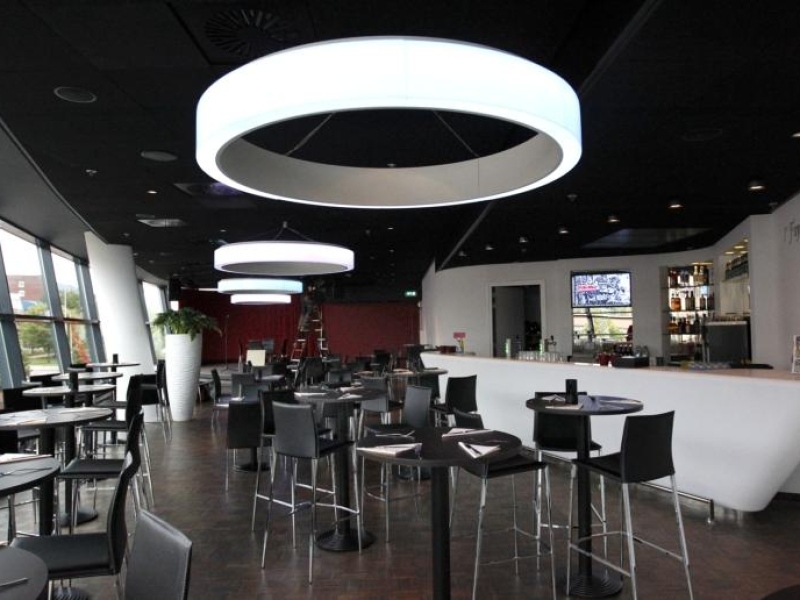 The Deventer Theatre offers a wealth of different possibilities. In addition, its building can be used in whole or in parts. The different areas can independently of each other or be correctly matched to each other. There are Great Hall, Small Hall, four foyers and the stage. The stage of the Deventer Theatre is an area of ​​430 square meters suitable for giving exclusive corporate events, or organizing a festive dinner in a theatrical setting. The history of Deventer Theatre began in 1870. When the Deventer Theatre was founded in 1870, it was the subject of ridicule, because the small building with many narrow corridors was definitely not suitable for a theater. A theater association was founded firstly to play a comedy. Later performances were housed in a larger property located nearby, but this location also was not perfect. In 1954 a totally new theater was built, which quickly grew after the opening into one of the busiest theaters in the Netherlands. After a significant renovation the Deventer Theatre was opened in 1995. Since then, the theater includes a second small room, better parking and better location, i.e. directly opposite the station. Now it is quite different: pop musicians, comedians, classical musicians and theater groups like to come from around the world to the theater located in the beautiful Hanseatic city. 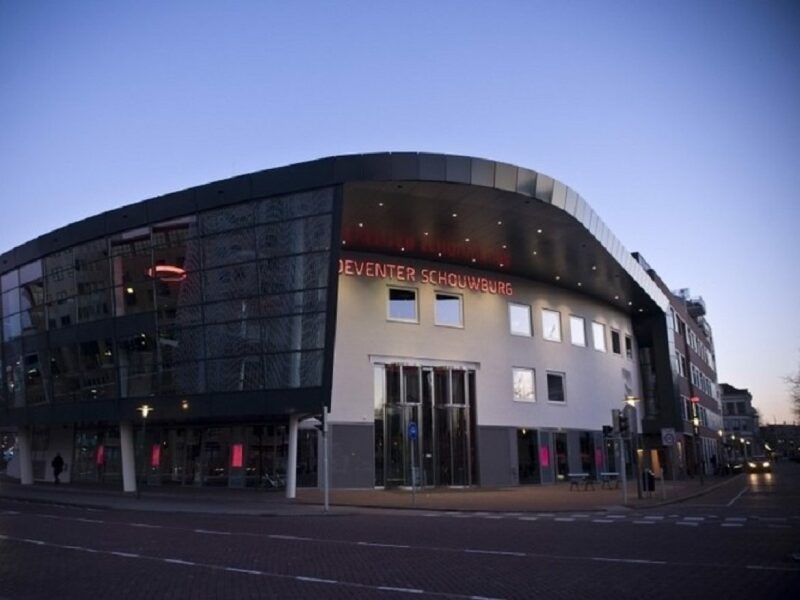 In addition to a stage where nationally known artists and companies perform, the Deventer Theatre also can be developed to a venue for local performances and programs. Deventer Theater cooperates with various parties and people from Deventer and surroundings. The theater will develop as an open “house for art.” Deventer Theatre isa palace of dreams and illusions! The Deventer Theatre is easily accessible by car and public transport. It is located directly opposite the main railway station, where trains from Amsterdam, Utrecht, Zwolle, Nijmegen and Enschede arrive every half hour. Bart van der Linden (24) is oud-wereldkampioen freerunning en lid van het ISH - Dance Collective. De crew tourt nu langs de theaters met Modern Samurai. Een show vol freerunning en breakdance geïnspireerd op de Franse film Yamakasi uit 2001. 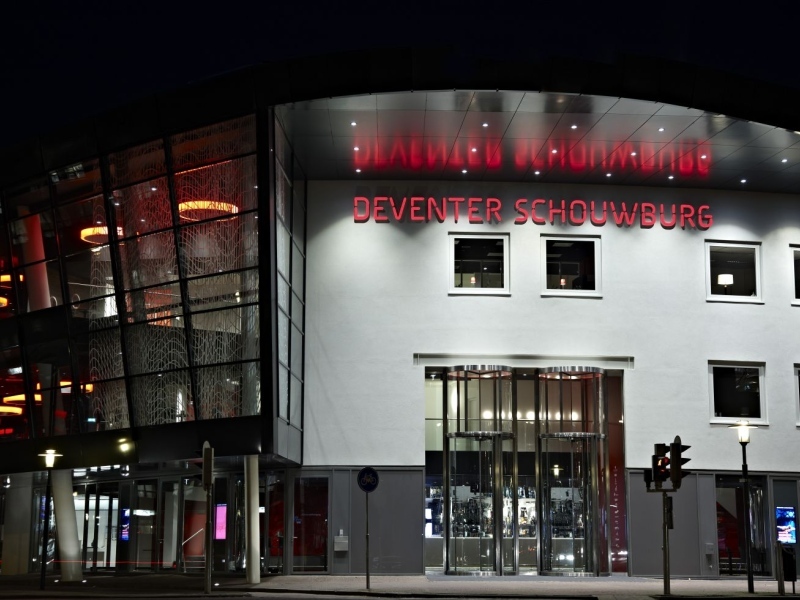 's cover photo Deventer Schouwburg updated their cover photo. RTV Oost Vanavond om 20.00 uur vindt bij ons het slotdebat van de verkiezingen plaats. Er worden zeven debatten gevoerd. Dit slotdebat is vanavond live te zien op RTV Oost.🤓 De toegang is gratis! Ben jij erbij? Genomineerden Annie M.G. Schmidtprijs 2019 bekend – Theaterkrant 🎉🎉Gefeliciteerd!🎉🎉 Claudia de Breij, YENTL EN DE BOER, Mylou Frencken, Alex Klaasen, Patrick Nederkoorn en Kiki Schippers zijn genomineerd voor de Annie M.G. Schmidtprijs 2019. De prijs voor het beste Nederlandstalige theaterlied. Op 14 april wordt de winnaar bekend gemaakt. Er zijn kaarten teruggekomen voor Enfants Terribles van de @AshtonBrothers. Onze feestelijke openingsvoorstelling op 28 september. Be there! Visueel beperkt en circusliefhebber? Kom zondag 8 juli naar de Deventer Schouwburg en geniet van prachtig fysiek circustheater met live audiodescriptie door blindentolk! Very atmospheric theater with many beautifully decorated rooms for different types of music. Foyer too small. Too busy at the bar.